The Department of Mathematical Sciences encourages distinguished scholars who share a research interest with at least one member of the Department to visit for periods ranging from one week to three months. Typically, visitors under this new programme collaborate with members on a topic of current interest, participate to the vibrant research environment of the Department, and give a seminar during their visit. Accommodation is provided free of charge to scholars and their family (up to two children) in a recently refurbished flat belonging to Teikyo University (which has an antenna in Durham). 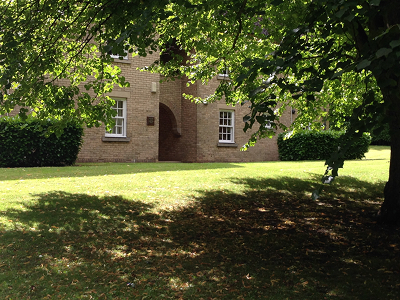 The flat is located in the beautiful grounds of St Mary's College, an eight minute walk from the Department of Mathematical Sciences, and visitors have the possibility to engage in the life and activities of the College, as well as joining the high table for evening meals. The programme does not include a stipend, travel costs or other research expenses. If you wish to visit us, please first contact the colleague in Durham you are most likely to interact with, and send your potential visit's dates to maths.research@durham.ac.uk well in advance of your planned visit to avoid disappointment.